Tammi Thomas has been a full time, licensed Broker since 2004. She is an active member of her local Realtors Association where she served as a Secretary/Treasurer from 2009-2013, chaired the Realtor Political Action Committee for 2 years and is currently the Realtors Associations Charitable Giving Chairperson. Tammi receives regular, continuing education so that she constantly sharpens her skills and provides her clients with the best, up-to-date advice. She has earned multiple educational designations including "Accredited Buyers Agent", "Seniors Real Estate Specialist", "Certified EcoBroker", and most recently "Certified Negotiation Expert®". She works to grow her business by providing the best possible service, thereby creating a business of referrals from satisfied clients. "If clients are happy, they happily refer you to their friends and family. It's important to me that I know what sellers and buyers want in a professional agent, then I work to exceed those expectations," she says. 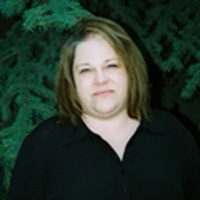 Tammi was born in Eugene, Oregon and raised in Alaska where she lived for 20 years and worked as a Program Director for a Seniors and Adults with Disabilities organization for 10 years, finally moving to Chewelah, WA in 2003. Growing up she learned to love a life of fishing, hunting, hiking and camping. Tammi enjoys refurbishing her 2 vintage trailers, fly fishing, camping and is a member of "Sisters on the Fly" . "Doing those things is how I take care of myself. Those activities enable me to be a better mother, friend and Realtor."